That's Governor Larry Hogan, knocking down a building at the Purple Line groundbreaking. Photo by Aimee Custis on Flickr. The Purple Line is officially a thing. 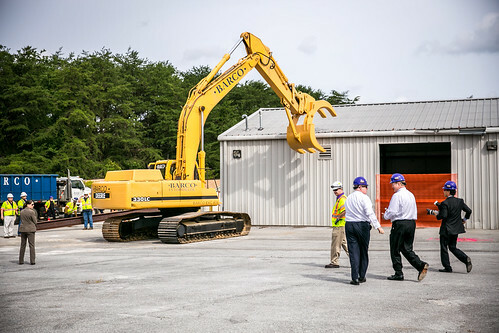 After a 2014 lawsuit was finally resolved, the light-rail line between Bethesda and New Carrollton finally broke ground in August at a ceremony where Governor Larry Hogan used an earthmover to tear into a building. Construction is well underway in Silver Spring: trees are coming down on the Capital Crescent Trail, the Spring Center shopping center has been roped off and stores have moved out; and Arliss Street in Long Branch will be closed for the next few years. While the work is disruptive, it’ll be worth it. To see all the places the Purple Line will connect, my friend Sean Emerson and I took a trip on the route this summer, which you can watch. MoCo’s biggest campaign in a long time. Voters approved term limits last year, which means that for the first time ever, three County Council seats and County Executive are all open at the same time. Not only did the 2018 campaign season start early (many candidates announced last summer), but it’s huge, with over 40 people either running or considering a run for County Council alone. To say this is a consequential election is an understatement, as it could bring in a number of new, fresh faces to local politics - or take us a big step backward. Cranes for Thayer & Spring, a new apartment building off of Georgia Avenue. All photos by the author unless noted. Some good news for local journalism. There's a lot of local news to report in and around Silver Spring this year, but it wasn’t a good year for the people who cover it. Longtime news site DCist shut down this fall because of a capricious owner, while the Washington City Paper almost shut down before a new owner stepped in. One bright spot? A number of small, hyperlocal publications all over the county are stepping in to fill the void left by the Gazette’s closing two years ago, including the MoCo Show, a local news and culture site, and Source of the Spring, which celebrated its first anniversary this fall. 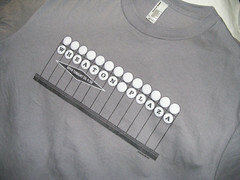 Downtown gets a new skyline. 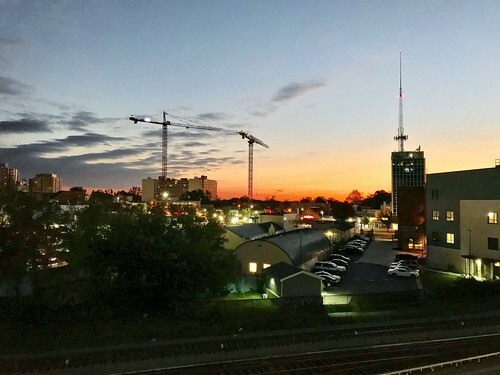 Cranes have been popping up over Silver Spring’s skyline for a few years, and they’re bearing fruit as the area has its biggest apartment boom since the 1960s. Nine hundred apartments opened in several new buildings here this year, including The Pearl, Central, and Core. Another 900 are under construction in Thayer & Spring (formerly Studio Plaza), Solaire 8250, and the Adele. This trend isn’t letting up anytime soon: in 2018, we’ll see work start on a building for artists, one for low-income seniors with a recreation center, and a 270-foot building that would be the area’s tallest. Our local resistance. Many of those people running for office in 2018 say they were inspired by last year’s presidential election. Others have instead decided to organize. A group of Montgomery County women started the Women’s Alliance for Democracy and Justice to advocate for progressive issues, but also to get people involved in local politics. (I spoke at one of their events this fall!) The LGBTQ+ community is getting together too. Silver Spring resident Michael Knaapen helped start the Montgomery County Queer Democrats, while the MoCo Pride Center began this year, co-founded by Wheaton resident Ezra Towne. A changing of the guard in the food scene. Silver Spring lots some dining institutions this year. Longtime dim sum restaurant Oriental East closed after 30 years at the Blairs, while 8407 Kitchen Bar, which gained a lot of acclaim over its seven-year run, closed a few weeks later. But we also got a new entry in Lina’s Diner and Bar, bringing an edgy twist on an old-fashioned diner. Coffeeshop Bump ’N Grind opened a second location at Ellsworth Place, while Urban Butcher is working on a second branch as well. Bikeshare bikes along East-West Highway. A beer boom? As Montgomery County slowly updates its outdated liquor laws, breweries and distillers have popped up around the county. Denizens Brewing Company, which brought beer making to Silver Spring, will soon be joined by two new breweries, Astro Lab (formerly Astrolabe) and Parallel World. Anyone up for a brewery crawl in 2019? Bikes bikes everywhere. 2017 was a big year for biking in Silver Spring, as we got a mile of buffered bike lanes along Spring and Cedar streets, and the county’s first “protected intersection” was installed at Second Avenue and Spring Street. More bike lanes are soon to come to Cameron Street and Fenton Street. 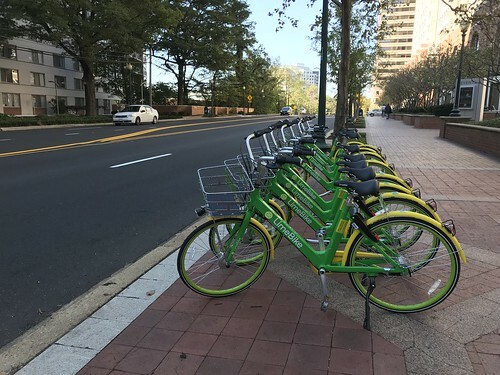 Meanwhile, almost overnight, 1300 bikes appeared on the streets of Silver Spring as part of the county’s partnership with four dockless bikesharing companies, who also operate in DC. While some neighbors have grumbled about the new bikes, it really demonstrates the county’s seriousness about making bicycling a viable transportation choice for everyone. Quench! 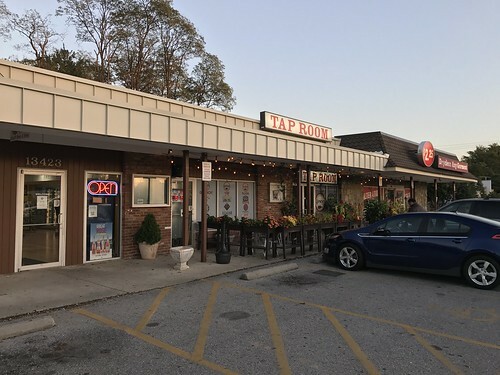 is a craft beer shop and restaurant in Colesville. East County finally gets its share. As downtown Silver Spring booms, it can feel like East County outside the Beltway is treading water. Home values in many communities remain below their pre-recession highs, while Burtonsville Crossing remains a dead mall. 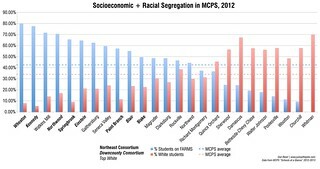 But there are a growing number of bright spots. Montgomery County’s first Bus Rapid Transit line, between Silver Spring and Burtonsville, will open in 2020, while Planning Board approved Viva White Oak, which will give the area a town center and research park. A small number of cool local businesses are gaining attention too, like Quench! in Colesville. Thanks as always for reading and supporting Just Up The Pike, whether here on the blog, on Facebook and Twitter, my regular newsletter, or out in the community. We'll see you in 2018!